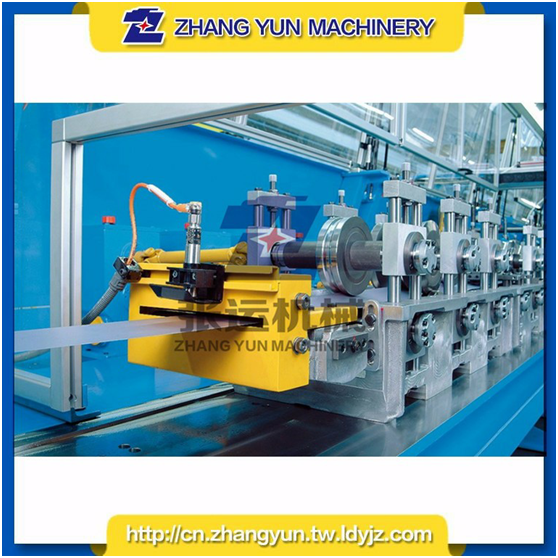 Advantages of Cold-formed Steel (2) - ZhangYun Machinery Manufacturing Co.,Ltd. Most of the working state of the web tower in the tower is the instability of the compression rod with a large slenderness ratio. By adopting profiles such as angle steel, the cross-sectional characteristics have no obvious advantages, and the available specifications are limited. The cold-formed steel can be selected according to the force characteristics of the component, and give full play to its cross-section interface characteristics, making it more economical and reasonable. Steel is inorganic, and thus impervious to termites, rot and mold. A protective layer of zinc and other metallic coating steel provides long-term durability that research demonstrates can last hundreds of years without any deterioration. The cold-formed steel products can be provided with various sizes of steel according to the needs of users, and the finished product has a high rate (up to 99%), and there is less leftover material, which can effectively reduce the material loss in the processing of iron towers.